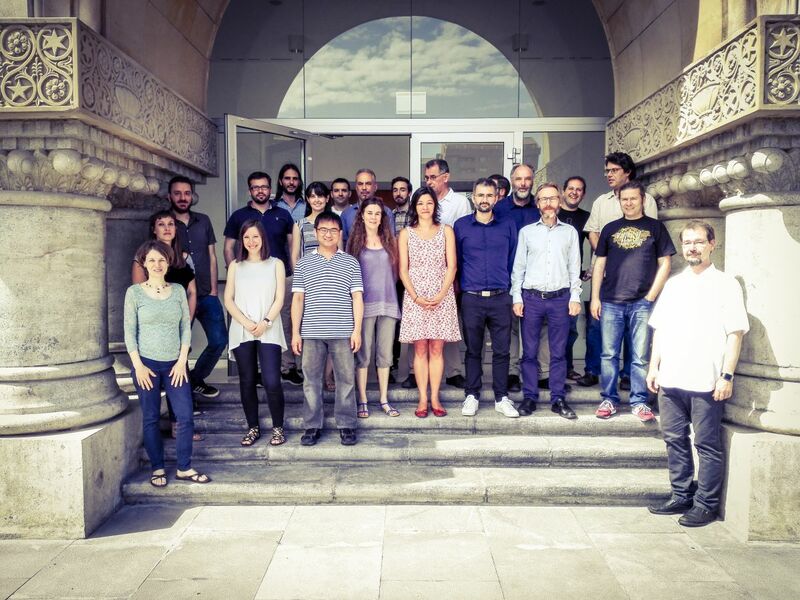 The second project meeting of our EU-funded project Mobile Age was held in the city of Zaragoza, Spain from 5th to 6th of July, 2016. Through the connection of open data, mobile technologies and public services Mobile Age aims to improve the public participation of senior citizens across Europe and facilitate their independent living. The objective is on the one hand to collaboratively develop mobile applications with and for senior citizens and on the other hand to test and implement methods for the involvement of elderly people in the development of public online services. The city of Zaragoza is besides Bremen (DE), South Lakeland (UK) and Central Macedonia (GR) one of the field sites where Mobile Age is carried out. The local government of Zaragoza already provides innovative projects for the participation of (senior) citizens. The meeting was held in the premises of the local government. On the first day of the meeting the current state of the work packages was presented by the responsible partners. An important item was the exchange between the two pilot field sites in Bremen and South Lakeland, where ifib and Lancaster University already are working with elderly on the development of service applications. Besides, the project partner from the local government in Zaragoza reported on their already existing local activities and services for elderly. On the second day a workshop was held to coordinate the activities of the technical and the process strand and the further action was coordinated. The next meeting is going to take place in Bremen in the end of the year.